COME TO COBOURG NISSAN FOR ALL YOUR COMPANY CAR NEEDS! Cobourg Nissan is pleased to offer Full Car Wrapping service for your company’s promotions! No job is too big or too small, from an agile Cube or Versa to the luxurious Murano or Armada we can do it all! Deliver your message to your customers all over town every time you leave the house! 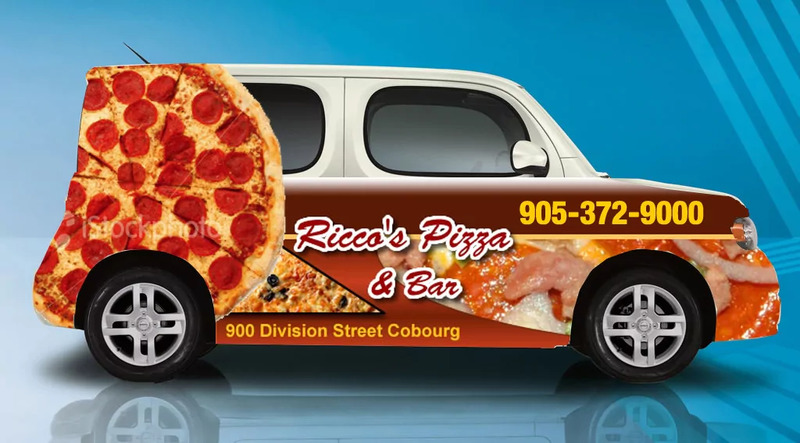 Here is an example from Ricco’s Pizza in Cobourg! Please fill out the contact form or give us a call for more information on this incredibly cost-effective form of advertising!